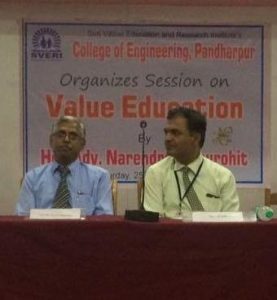 Narendra Raj Purohit Seema is making efforts to introduce Neohumanist Education values to teachers, lecturers, professors, youth and students, in Maharastra, India. Various lectures and elocution competitions have been organized in medical, engineering, management, B.Ed., and D. Ed colleges. The following is a sample talk. We send our children to allied schools, colleges and top universities to make them doctors, engineers, management consultants, civil service officers, celebrities etc., rather than educating them in true sense of the word—all in the name of pragmatism. Students finish their education and join different fields and exploit the masses. They simply forget that they are appointed to take care of society. The Meaning of the Vedic verse “Sa Vidya Ya Vimuktaye”, “Education is that which Liberates”, has been lost in a frantic search for wealth and glory. Intellectual knowledge has become the hallmark, at the cost of values, ethics, character building and spiritual fulfillment. The five minimum physical requirements of all human beings are food, shelter, clothing, medical care and education. Of these, education is the most important factor in furthering the future of society. There is a psychic need to know more and more, and this is called ‘mental expansion’. Education should link the physical and psychic need of learners with the spiritual need for happiness that will take them to the stage of all-round liberation. Some developed countries have realized the shortcoming of their education systems and are trying hard to turn them around with the help of ethics and cultural education. However, their efforts are hindered by the dominance of consumerism in society. Education becomes focused on making more money and, as a result, it on the advancement of knowledge as means to get a good job in the competitive world for making more and more money. Consumerism leads to “átma-sukha tattva”, or the principle of self gratification where a ‘me and mine’ psychology prevails. The current education system works on a model of the Individual as a Singular Entity pitted against the Forces of the Universe. Competition and the need to dominate and control are the hallmarks of this system. The psychology of the ‘individual against the world’ is cultivated, making students feel that they are on their own to face the world. The more they can grab from it, the more successful they feel. True education rejects this raison d’etre for humanity. Real education teaches Universal Brotherhood which is the Principle of Equality of All Living Beings: “Sama Samaj Tattva”. When Universalist psychology prevails, there is no chance of exploitation and accumulation of resources. The primary goal of education is to awaken the dormant potentialities of the human mind. In order to do that, it must integrate the three aspects of human personality— physical, mental and spiritual— and goad them towards perfection in all realms of existence. There has to be a balance between individual needs and the needs of the society. Science fundamentally answers the question, “Is it true?” This search of truth prevails against dogma that creeps into existing knowledge in the form of various ‘-isms’ that destroy the chance for mental expansion as well as the thirst of the student for knowledge. Education must liberate the infinite learning potential that is bound up in our minds by expanding our understanding of our own potential. Spirituality, creativity and love are at the centre of this new force. We must feel part of a universal family engaged in a universal enterprise. We should seek to affirm our kinship through service to the universe. Students should be educated with love and care. When this love and care for all living beings is instilled in them, it will sweeten whatever they do in this world and will create universalism in them. 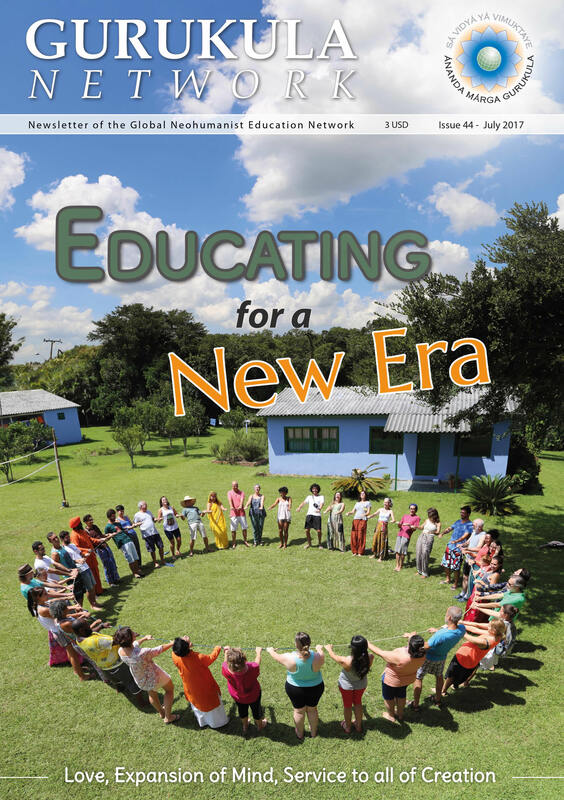 This Universalism in education is called Neohumanism, hence the name Neohumanist Education. ‘Neohumanism’ means love and care for not only human beings, but all living beings. Neohumanism is the spirit of benevolence. Talk at Engineering College at Pandharpur Dist Solapur, attended by more than 500 hundred students & teachers.